Ostermann has a strong grip on trends. Through our innovative trend monitoring process we are able to give furniture designers and manufacturers a steady flow of new impulses. From used-look, wood-metal combinations, and soft shapes, to the newest developments in finish technologies, our trend scouts detect and capture them all. From over 450 concepts we create over 100 new products each year. Design shapes and individualizes the identity of furniture. 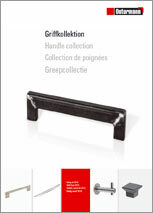 Ostermann handles help define its character. 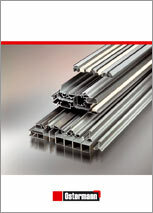 Technical profiles from Ostermann come in many different materials, colours, shapes, surfaces and dimensions. Their versatility allows them to be used in many applications.